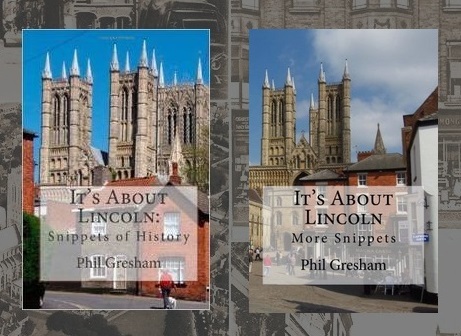 It's About Lincoln: The Church that Moved – or did it? The Church that Moved – or did it? The church that stood on the corner of High Street and Silver Street was known as St Peter at Arches, the “Arches” came from its position close to The Stonebow. There is evidence that by the 11th Century two St Peters stood in the churchyard: St Peter at Arches and St Peter at Pleas (so-called because of its proximity to the Moot Stone which was located near Ruddock's shop). In 1719 an application for a brief for rebuilding the church of St Peter at Arches was made to the City Council. A loan of 1000 shillings ( the equivalent of about £4,500 today) was taken up at interest by the city for the rebuilding of the church, repayable over 10 years. The church was built by William Smith and consecrated in 1724 as the Corporation church. In 1786 4s. granted in addition to 6s. already granted to be distributed by the minister and churchwardens of St. Peter-at-Arches among such persons as shall sing or perform upon any musical instrument in that church during divine service on the Lord’s day. St Peter at Arches was closed in 1929 and demolished in 1933. St Giles church was designed by W G Watkins and built in 1936 on the new St Giles estate northeast of Lincoln in the same style as St Peter at Arches. Much of the decorative stonework was used but the structural stone was replaced by brick. It can be seen from the pictures that an additional bay was added to the building of St Giles Church. St Giles Church is quite unique in that it is one of the few churches with its altar at the west end of the church, the probable reason for this is that it was built opposite St Giles Junior School with its main door facing the school.